A few weeks ago, Fabrisonic visited Oak Ridge National Lab to discuss 3D printing of metal. During the visit, we had the opportunity to look at the world’s first 3D printed car. 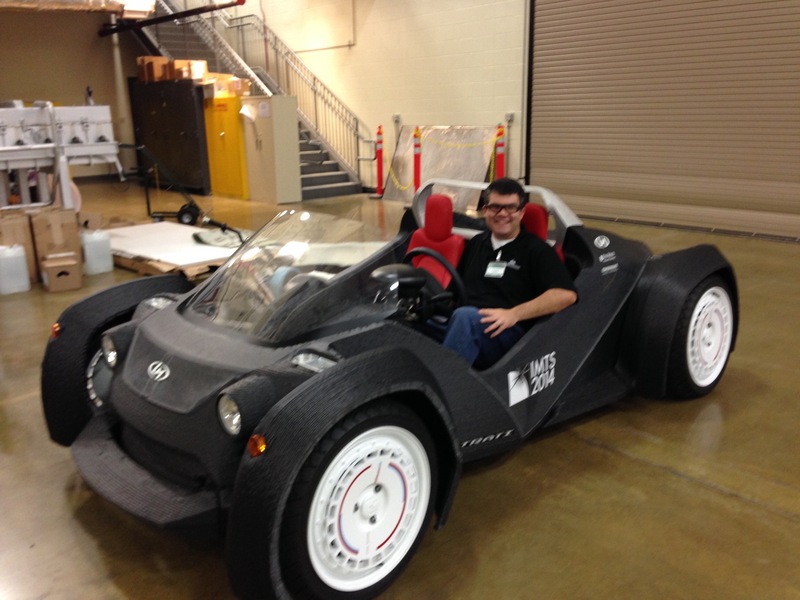 Oak Ridge printed the car, called the Strati, during the recent IMTS show with partner company Local Motors. This effort pushed the boundaries of what we think about when talking about 3D Printing. Oak Ridge’s Big Area Additive Manufacturing (or BAAM) takes existing plastic 3D printing and scales it up to build real world structures. It will be exciting to see how metal processes, such as our Ultrasonic Additive Manufacturing 3D printing process, will be used in the future for similar concepts. Fabrisonic’s SonicLayer 7200 has a similar scale and uses metals such as aluminum, copper, and steel. Fabrisonic’s very own Hilary Johnson stars in a new commercial for Columbus State Community College. Previous to her associates in mechanical engineer technology, Hilary also earned a bachelors in marketing and an MBA. Fabrisonic leverages our relationship with CSCC to find talented folks, like Hilary, who have fundamental science backgrounds and practical hands on experience. We look forward to finding more qualified employees from CSCC in the near future. 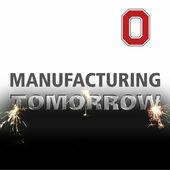 Manufacturing Tomorrow is a biweekly podcast series created by the Ohio Manufacturing Institute at The Ohio State University. Featuring the perspectives of manufacturing leaders, they focus on the advanced manufacturing innovations, solutions and partnerships that exist in our region now and that will propel industry in the future. At Ohio State they are working with industry to demonstrate value of manufacturing innovation to the U.S. economy, and showcase how Ohio’s technology resource boost advanced manufacturing solutions. The crew at Manufacturing Tomorrow recently interviewed Fabrisonic President and CEO, Mark Norfolk. The interview focused on metal 3D printing and how Fabrisonic’s patented metal 3D Printing process is changing the way industry thinks about manufacturing. Additionally, Mark and the host discussed the unique features of the central Ohio region that help promote small start ups in the area of advanced manufacturing.